You can now qualify for $200 cash back in the form of a statement credit with the Blue Cash Preferred Card from American Express. You’ll earn $200 cash back after you spend $1,000 on purchases within the first 3 months of card membership. There is a $95 annual fee for the Blue Cash Preferred Card, so you may wish to check out the Blue Cash Everyday Card as well for a similar promotional incentive with lower rebate earning potential, but no annual fee. Just visit this Promotional Link to apply for this offer directly on the American Express website. You’ll earn the $200 bonus after $1,000 in purchases within the first 3 months of card membership. If you are identified as a current or former American Express card member, then this offer may not be available to you. The Blue Cash Preferred Card from American Express is now offering a $200 bonus in the form of a statement credit after $1,000 in purchases within the first 3 months. Apply for the Blue Cash Preferred Card to get $200 cash back after you make $1,000 in purchases within the first 3 months, which is redeemable for a $200 statement credit. 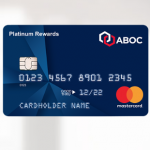 This card generally fluctuates between a $100 bonus and a $200 bonus, and I have even seen it go as high as $250 through the CARDMATCH and Pre-Qualified American Express Card portals. You’ll earn 6% cash back at U.S. supermarkets for up to $6,000 per year in purchases, and then 1% thereafter. You’ll earn 3% cash back at U.S. gas stations and select U.S. department stores. Plus, you’ll earn 1% cash back on your other purchases. Your cash back is earned in the form of Reward Dollars that can be redeemed for a statement credit. You’ll get a 0% introductory APR on purchases and balance transfers for 15 months. 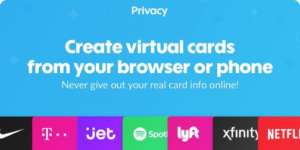 This card has a $95 annual fee. Sign up for the Blue Cash Preferred Card from American Express to earn cash rebates and a new account bonus. I realize this is a re-post, but I believe the annual fee is now $99. Thank you, John. The fee is actually $95 now according to the terms, and I have updated the article accordingly. Really appreciate your help. What if you already have an Amazon Prime membership? Will you get a credit toward the next years Amazon Prime membership fee with this AmEx card? Alternately, can you cancel your current Amazon Prime membership when it is about to expire, get this American Express Blue Cash card, and then reapply for a new Amazon Prime free membership through the AmEx card? I’ve posted additional information in the above article in regards to the Amazon Prime membership deal from American Express. Hope this helps and thank you for commenting.